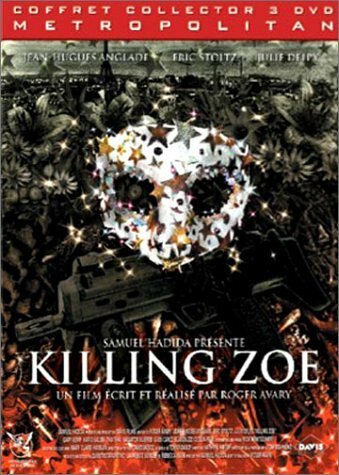 A brand spanking new transfer has been provided for the upcoming French 3 DVD set of Avery's Killing Zoe (a "normal" 2 dvd set also available) on May 12. The set will offer DTS track!! Disc 1 and 2 will include both the theatrical cut and the director's cut . Disc 3 will be all extras. But here are the extras...see for yourself (hopefully no one will request translation... ). - Le matériel promotionnel : Les bandes-annonces, featurette, galerie de photos"
By the way...May 12 is my birthday....so feel free to make me a present !!! Last edited by pro-bassoonist; 04-11-04 at 01:11 AM. Great news! I love this film and since R1 will not likely see a similar SE anytime soon, I'm picking this one up. I know enough French to understand most of the extras listed above, and I think it mentions a director's commentary right? I've enjoyed Avery's other commentary tracks (Criterion Hardboiled, Dawn of the Dead) and it will be nice to finally hear a commentary on one of his own films. ...also in addition to Avery, Julie Delpy will be doing sort of a commentary on a few scenes...(ha, can you guess which one the forum would like her to discuss.... ). Last edited by pro-bassoonist; 04-11-04 at 01:09 AM. wow...thanks for the update...I don't know about that set, but I do love this movie. 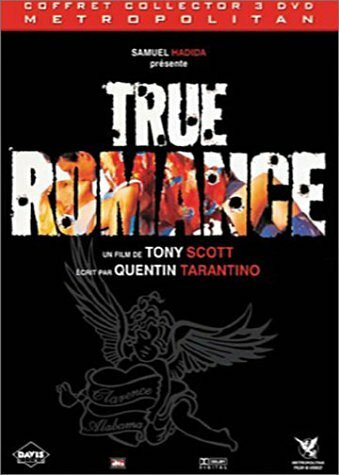 Just out of interest when i checked over at Amazon France it appears 3 DVD editions of True Romance and Reservoir Dogs are being released at the same time as this Killing Zoe do you have any details with regard these releases?
. Le film : les scènes coupées avec ou sans commentaire du réalisateur, la fin alternative avec ou sans commentaires de T. Scott ou Q. Tarantino, les différentes versions du film, les influences de Tarantino. Street date is the same- May 12 (Metropolitan/France). Last edited by pro-bassoonist; 04-11-04 at 07:49 PM. Thanks Pro-B, but actually I said that I did know enough French to understand the specs. Thanks for the offer though. The only thing I wasn't sure about was if "realisateur" meant "director" but now I know that is the case. 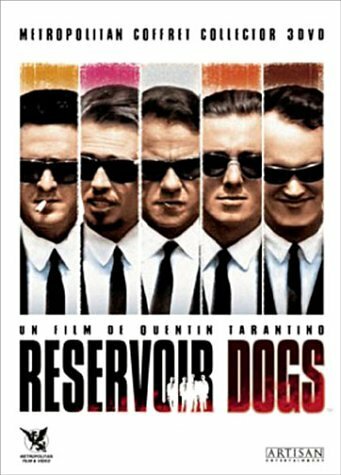 Anyway, it seems odd that the French Reservoir Dogs SE has so much involvement of Oliver Stone, including a commentary. Did someone get this film mixed up with Natural Born Killers? Did someone get this film mixed up with Natural Born Killers? Actually I considered this very same issue myself....but then again....the info is all over the French news sites. The few German and French forums I frequent have posted the same question...and people are quie surprised by it. As it is, I suppose we shall wait and see when this set gets released...there will be some major reviews that's for sure. vost) Ok I know my french is bad but what is "VOST"? ...and in this case...."Version Originale Sous-Titrée"...which means that there will be French subs for the French market where English is spoken- for example during the interviews/extras...or the non-dubbed English/original version of the film. Last edited by pro-bassoonist; 05-08-04 at 01:15 AM. Will they have forced French subs on the English audio tracks just to cheese of non French folk? The True Romance R1 Two disc already has the same features (aside from the French DTS). Tueurs Nés is the French title for Natural Born Killer. There is obviously a mixup and they put the spec of the uncut version of NBK instead of the ones of Reservoir Dogs. OK, that makes sense re: the Reservoir Dogs mixup. Regarding the French Killing Zoe disc: there are portions of the film that are in French language. Based on the above menu screenshot, it looks like the only subtitle options are French or none. This is to be expected for a French release of course, but it's a bit of a down side for those of us who aren't exactly fluent in Francais. Still, I'll more than likely pick it up. Regarding Reservoir Dogs. The 3 DVD boxset offers en bonus the original 1.33 version of the movie. Which appears to be the original aspect ratio. Can anyone tell me if it is available in any other edition ? Last edited by Butch Coolidge; 05-14-04 at 01:56 AM. Regarding the French Killing Zoe disc: there are portions of the film that are in French language. Based on the above menu screenshot, it looks like the only subtitle options are French or none. This is to be expected for a French release of course, but it's a bit of a down side for those of us who aren't exactly fluent in Francais - I thought the subtitles were part of the film? Are they removed for this release? I thought the subtitles were part of the film? Are they removed for this release? I'm pretty sure that burned in English subs wouldn't have appeared on international prints of the film. Anyone got KZ yet and can shed some light on the subtitle issue mentioned above? I can confirm that during the French dialog parts the English subs do not appear. These are rather small fragment of the film however which even without proper French skills you will be able to comprehend. My first impression is that the picture quality is substantially different. My brother and I split the Euro catalog this month and I went with mostly Italian product...his disc however I will inspect later next week. However...I dont think that I could add much to what I have already posted or what DVDRAMA have investigated. I suggest you look at their review(even if not fluent in French). Attn New Yorkers: Just picked up the 3-disc Metropolitan KZ at Kim's Video on St. Marks. They've got about 6 of them left, in case anyone's interested. $28.